In times past, Presidents Bush and Obama have deployed soldiers from the National Guard to defend the borders. One of the chief complaints about those deployments of guard members is that the soldiers were deployed without weapons. Yes, unarmed soldiers. Now Kathy Glass wants to talk tough about sending in the Texas State Guard. Well guess what? The Texas State Guard is, by design, an UNARMED STATE MILITIA. The Texas State Guard is a group of volunteers who provide great service to Texans in times of need. However, as a force to defend our border, this is not the group to be employed. The mission of the Texas State Guard is humanitarian in nature and is not designed for law enforcement or military conflict. The governor of Texas has full authority over the Texas NATIONAL Guard and can deploy an armed force of soldiers to serve on the Texas border if necessary. However, the cost of this type of deployment would be very high and Gov. Perry has so far, refused to do this and attempts to get the federal government to authorize deployment and thus bear the cost. In the mean time, he has increased the manpower and equipment resources of Texas law enforcement resources along the border. I have previously reported about the violence along the Texas border by the Los Zetas drug cartels. The Texas border is an extremely dangerous place. They idea of deploying thousands of Texas State Guard members is a disaster waiting to happen and would lead to needless deaths of these brave and honorable men and women. Glass' plan to deploy these people along the Texas border is misguided at best or plain foolish at worst. This is not the kind of leadership needed by Texas. Someone should do their homework. Let's be fair and objective here. It is amazing how quickly people fly off the handle when given bad information. It took all of 5 minutes to google this issue and see what the truth is. For those of you too lazy to do it yourself, I have included the links and hints below. For those of you interested in the truth, look up "Operation Border Star". The TSG has been utilized (by order of Governor Perry) for at least three years to aid the US Border Patrol. hint: look under Ongoing/Current Operations, take note of "Operation Border Star"
So by Bob's logic, the "plan to deploy these people along the Texas border is misguided at best or plain foolish at worst. This is not the kind of leadership needed by Texas." Are you sure you meant that Bob, considering it was Perry's plan in the first place??? Good going Bob, you just won the "Lazy Pundit Award" for Tuesday, September 28. I guess I will have to hand your trophy for lazy pundit award back to you, my friend. Yes, if you spend 5 minutes doing Google research you might find some items you could use to draw incorrect conclusions from as you clearly have here. And yes, your Google search did produce a link showing Operation Border Star as an ongoing mission of the Texas State Guard. This listing prompted a phone call from me to the Texas State Guard Headquarters to find out what the TSG's mission is as part of this operations. Currently 38 members of the Texas State Guard are deployed on a 24/7 schedule over six locations across Texas. That amounts to about 2 people per shift per location. Their mission is purely administrative support to the Border Patrol and Texas law enforcement agencies. They take field reports from law enforcement officials and put them into a standardized report for command review and reference. I also confirmed, once again, the role of the Texas State Guard is primarily Humanitarian Disaster Relief and the TSG members have no training in law enforcement and border security. As I said, this is an unarmed citizen militia. 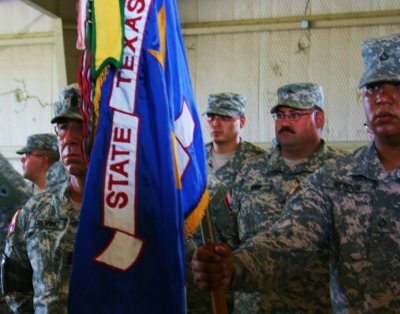 As for your second link and conclusion about the Governor "bragging about deploying the state guard", nowhere in the linked article is the Texas State Guard mentioned. If you hurry, you can put your "Lazy Pundit Award" trophy back on your mantel before anyone notices the "no dust spot" where from where you moved it. Thanks for playing stump the band, but as you can see, I have already done my research on the issue. Tell Kathy hi for me. You can spin this however you like, but the fact remains that the TSG is being utilized in the effort to secure the border. No, they are not mentioned by name on Perry's site (they should be, however, as they are serving in this effort) but they are part of the ongoing operation. Thank you for confirming TSG's role in Operation Border Star. I will give her your best, thanks. And thanks for all the attention, I am sure she appreciates her name being thrown out there for free, even under the dubious circumstances. it seems it is you that is looking for spin. Kathy Glass said "Secure our border using our own Texas State Guard." period. That is her plan. She continued "Put our guard on the border" still refering to the Texas State Guard. At the Nullify Now Conference I attended, she called for deploying the Texas State Guard "to defend private property rights and enforce Texas state law." She is calling for the use of the Texas State Guard as a military force along the border and is proposing using a military organization to enforce civilian law. Not in an administrative support role. I have seen Libertarians in the past who get upset when the National Guard is used to help direct traffic at community fairs. It really seems she has no clue as to what the Texas State Guard is... But it does sound good in a commercial! I have long been critical of the Governor on the issue of border security. I am certainly not saying he as done everything possible, but I have learned from personal research with the men and women defending our border, and not from Google searches, that he has done a lot. Much more than I knew a year ago. Bill White will do for Texas what he did for Houston and turn the state into a sanctuary state. 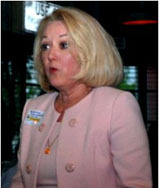 Kathy Glass will put an unarmed civilian militia on the border to be slaughtered. I think I will stick with Rick on this one. Clearly, Kathie Glass would not send the State Guard into harm's way without the right firepower and rules of engagement. Please go to the Government Code Chapter 431 State Militia and tell me where the State Guard has to be unarmed. Maybe Perry follows federal practice and puts soldiers into harm's way without ammo or weapons, but Kathe Glass would not.